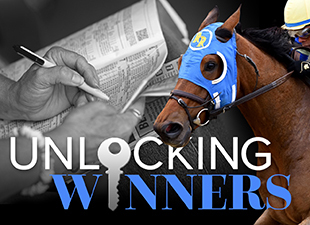 One year ago, I wrote an article for Unlocking Winners listing three two-year-olds that had yet to win a graded stakes race, but which I felt had a strong chance to become Derby contenders. The three colts—Dortmund, Om, and Bold Conquest—have all run well since then, although only Dortmund made it to the Kentucky Derby, finishing third behind American Pharoah. With 2016 just around the corner, and with the Kentucky Derby trail already well underway, I thought now would be a good time to write a similar article discussing up-and-coming contenders for next year’s Derby. One of the main points in my article last year—which can be read here—was that 22 of the last 30 Kentucky Derby winners had failed to win a graded stakes race as a two-year-old, and while American Pharoah changed that stat to 22 of 31 with his win in the 2015 Derby, the evidence still suggests two-year-olds without a graded stakes win have a better chance to triumph in the "Run for the Roses." When I sat down to write this post, I was planning to discuss three up-and-coming 2016 Derby contenders, but then I thought, why settle for three? There are so many little-known two-year-olds out there that have caught my eye that I have decided to instead provide short profiles of ten Derby contenders, complete with video replays of their most recent races. So without further ado, let’s get started! He lost the first four starts of his career, which isn’t typical for a talented Bob Baffert-trained two-year-old, but Arabian Leopard stepped up impressively in his fifth start (VIDEO) to win a 6 1/2-furlong maiden special weight at Del Mar by 1 ½ lengths in a respectable time. He seems to be getting good at the right time, and if he continues to progress, he could be a factor next year. I’m really excited about this well-bred colt, who finished second to the talented Whitmore in his debut before stretching out to 8.5 furlongs and winning a maiden special weight at Churchill Downs (VIDEO) by 2 ¾ lengths on November 28th. He earned a Beyer speed figure of 85 for that effort and actually recorded stronger closing fractions than Airforce did while winning the Kentucky Jockey Club Stakes (gr. II) later on the card. I love the improved tactical speed that Black Ops showed in his maiden win, and would include him among my top ten or twelve Kentucky Derby contenders at this point in time. His pedigree suggests he’ll be best on turf, and it was on turf that he won his debut going a mile on October 18th at Belmont (VIDEO), but Catapult was so impressive that he might very well be bound for the Derby trail. Trained by Chad Brown, Catapult settled in fourth early on before rallying to take the lead in the homestretch, and while he raced a bit greenly in the final furlong, he still prevailed by 1 ¼ lengths while running his final quarter-mile in about :22 4/5. He hasn’t posted a workout since then, but assuming he returns to serious training soon, I think we’ll see him in stakes company early next year. Given his pedigree, you might expect Drefong to prove best on turf, but that hasn’t been the case. After finishing a decent fifth in his debut, the Bob Baffert-trained colt romped to victory in a six-furlong maiden special weight at Del Mar (VIDEO), setting fractions of :22.24 and :45.33 before pulling away to win by 9 ½ lengths in the sharp time of 1:09.17 seconds. That was good for a Beyer of 89, and Drefong has been training up a storm since then, suggesting that he might be one of Baffert’s most talented Derby prospects. This highly-regarded Jerry Hollendorfer-trained runner broke his maiden sprinting 5 ½ furlongs first time out at Los Alamitos (VIDEO), scoring by an easy 6 ½ lengths on September 11th. He hasn’t run since then, but turned in four workouts during the month of November and appears to be very close to making his next start. Time will tell if he can stretch out in distance, but my feeling is that this is a very, very talented colt that will make a lot of noise on the road to the Kentucky Derby. No list of up-and-coming Derby contenders would be complete without a horse trained by Todd Pletcher, and Prospectus looks like a colt that could have an impact next year after breaking his maiden by 1 ¾ lengths sprinting 5 ½ furlongs at Gulfstream Park West (VIDEO) last month. Granted, he was slowing down quite a bit at the finish, but that was after dueling for the lead through fractions of :22.72 and :46.74, a solid pace. He’ll need to improve to join the ranks of the elite Derby contenders, but he’s already training at Pletcher’s winter base of Palm Beach Downs and should be ready to race again soon. Words can’t really do justice to how easily this colt broke his maiden on November 22nd at Aqueduct (VIDEO). After setting fractions of :23.53 and :47.49, he started drawing off under no urging at all, opening up a sixth-length lead with two furlongs to go and extending that to nine lengths at the finish, which he reached in 1:38.40 seconds. Trained by Linda Rice, he looks like a very logical contender for the Jerome Stakes (gr. III) in January at Aqueduct. He broke his maiden going a mile (VIDEO) on the same day as Seymourdini and turned in an even more impressive performance, settling in third while getting dirt kicked in his face before switching to the outside and pulling away to win by six lengths in the time of 1:37.61 seconds. Trainer Chad Brown already has two prominent Derby contenders with Flexibility and Gift Box, and Shagaf looks poised to join them on the road to the Derby. Despite the fact that he was one of 23 individual horses listed in the first Kentucky Derby Future Wager Pool (he closed at about 97-1), Synchrony has been surprisingly flying under the radar. After finishing second in his debut, Synchrony broke his maiden and then tackled allowance company in a 7 ½-furlong race at Churchill Downs (VIDEO), which he won by a head while running the final three-sixteenths of a mile in an impressive :18.35 seconds. Trained by Donnie K. Von Hemel, I would expect to Synchrony head south for the winter, with Oaklawn’s Derby prep races looming as a possible target. Looking for this year’s version of Mr. Z? Look no further than Z Royal! Racing for the team of D. Wayne Lukas and Zayat Stables, Z Royal finished fourth in his first start, then stretched out to a mile at Churchill Downs (VIDEO) and produced a big finish to win by a neck. Granted, he got a favorable pace scenario, and his final time was good for a Beyer of just 69, but I think he’s still improving and could be one to watch next year. Now it’s your turn! Which up-and-coming Derby contenders have caught your eye?